October 21, 2015. That was the date in which Doc Brown took Marty McFly to a future replete with hover boards, flying cars and Jaws 19. Amazingly, some of the elements of 2015 were quite accurate (the video chatting on large screen televisions) and others not so much (where’s my flying car?). The biggest disappointment ironically occurred in real life on October 21, 2015. The New York Mets beat the Chicago Cubs, ending the Cubs improbable post-season run. 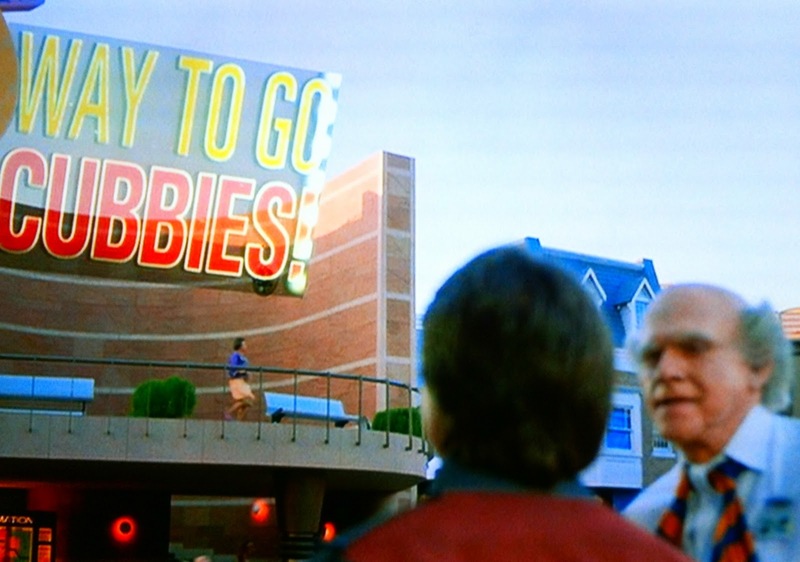 In Back to the Future II, a giant marquee announces the Cubs winning the World Series for the first time in over 100 years. Up until yesterday, it appeared that prediction might actually happen. Sadly, Cubbie fans will now have to wait yet another year. Predicting the future is a risky proposition. Many have tried. All have failed. Sure, some are able to guess with uncanny success. Some psychics, no doubt aided by demonic divulgences, have foretold certain events in detail while failing miserably on others. Why do all fortune tellers eventually fail to be 100% accurate? Because no one, not even the devil and his demons can see the future. Demons can see things we cannot see and go places we cannot go. They can make more informed guesses than we can, but in the end they cannot see what will happen. Only God knows, only God sees, only God controls the future. And God strictly forbids any attempt on our part to try and foresee the future (Deuteronomy 18:9-13). Jesus clearly warns that no one will know the day of his return in the end of the world. While he was here on earth, even he set aside that knowledge. Jesus is coming like a thief in the night (Matthew 24:42-44). Only God knows. And yet, throughout history, faithful Christians have tried to decipher the date. If you have a chance, check out Wikipedia’s list of all the failed attempts to predict the end of the world. Famous Christians like Hillary of Poitiers, Martin of Tours, Hippolytus, Jonathan Edwards, John Wesley and many more have failed miserably at prognosticating the end. Many have had to face the shame of their error because they predicted the end within their own lifetime. One of my seminary professors once quipped, “If you are going to predict the end of the world, make sure you pick a date long after your dead.” Why? Because you will end up looking like a fool. Just think of all the Chicken Littles who shouted the sky was falling at Y2K and the end of the Mayan calendar in 2012. The world did not end because no one knows when Jesus will come. But why do so many people try to predict the end of the world? Why do so many scour the Bible looking for hidden codes and messages so they can know exactly when the world will end? Because, like Adam and Eve, we want to be God. In our sinful pride, we want to know and see what only God can see. God wants us to humbly trust him. He wants us to see the signs he has given – wars and rumors of wars, famines and earthquakes – so that we are constantly ready for Jesus’ coming. And you are ready if you believe in him. You are washed of your sins in his blood. When Jesus comes, he is coming to take all those who believe in him to heaven. That’s the promise of the one who does see the future. Jesus is coming. He could come at any time. He could come tomorrow or in another thousand years. We don’t know, just like we don’t know when the Cubs will finally win the World Series.